On the 30th of June 2013 a fire blew over the Granite Mountain Hotshots outside Yarnell, Arizona, and left 19 dead. Three months later, on September 30, a formal investigation released its findings. The inquiry focused on the mechanics of fire behavior and how the Granite Mountain IHC might have understood their “situational awareness,” which is to say, how the crew recoded the information they were given with what they saw for themselves. Instead of ascribing blame, the investigative team sought to appreciate how the hotshots engaged in sensemaking in an effort to explain decisions that, to nearly all observers, make little sense. But the need for sensemaking extends also to the meaning of the fire for American culture at large. For anyone conditioned to read landscape for fire behavior, Yarnell Hill is a Google of clues ready to be coded into the existing algorithms of fire behavior. The fundamentals point to fuels of mixed brush and grasses, parched by seasonal drought, to the terrain of Yarnell Hill, and to record temperatures, blustery winds, and the downdrafts (“outflow boundary”) from passing thunderheads. 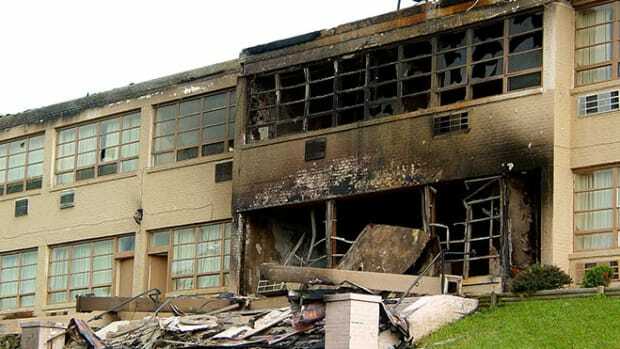 There is nothing in the reconstruction of the fire’s behavior that suggests it was anything other than a high-end variant of what happens almost annually. What made a difference was that the collective will of a hotshot crew crossed that flaming front. The reaction intensity that matters is fire&apos;s interaction with American society. The behavior we want to explain is the crew’s, and what their death signifies, and for that we must look outside the usual fire-behavior triangle and into that triangle of meaning framed by literature, philosophy, and religion. There are fires that belong with science, fires that stride with history and politics, and fires that speak in the tongues of literature. Yarnell Hill is a literary fire. It&apos;s a fire for poets and novelists, and maybe the stray writer-philosopher. In a profile of Howard Hughes, Joan Didion observed that he had to be understood as a "great literary character" like Jay Gatsby. So, after the reports are filed, the lawsuits settled, and the scientific interrogations published, we may well linger over the Yarnell Hill fire as a great literary moment, for which character, conflict, and plot serve as the fuel, terrain, and weather resolved into the blowup of tragedy. The greatness of the fire does not lie in its physical behavior or scale. Hannah Arendt famously spoke of the "banality of evil." It is likely that the mechanics of the 8,000-acre Yarnell Hill burn will prove equally banal, not with active evil but with an unsettling emptiness. It is not what happened but what it means that mesmerizes the public imagination. Giving story to that sentiment will be the task of literature. When it studies fire behavior, the fire community reaches for models; so, as it ponders the fire’s meaning, it will need to search for narrative templates. The vital parameters are a wrathful gust of wind and a devouring fire, the immolation of 19 men, a lone survivor, a landscape of ambiguous purpose as a determined brotherhood chases flames by a nearly deserted town. These facts the community will try to reconcile with fire behavior and to the interpretive models that it uses to account for why fire suppression today is dangerous. The problem is that its prevailing models don’t fit. Expect that the community will turn first to Norman Maclean’s Talmudic Young Men and Fire. Attention will focus, in particular, at the point where science met literature, the study of comparative behaviors, the fire’s and the crew’s, that Maclean’s inquiry inspired from Richard Rothermel. At Mann Gulch the steep terrain quickened the fire even as it slowed the smokejumpers. Where the curves of their differing rates of spread crossed, the crewmen fell. In Maclean’s hands the mathematics became the narrative lines of a Greek tragedy in which fire and crew each did what they were destined to do. Bob Sallee and Walter Rumsey were high enough on the slope that they could just evade the flames. For the others, only Wag Dodge’s escape fire—like a deus ex machina—interrupted the logic of fate. Read Dylan Thomas&apos; inextinguishable "A Refusal to Mourn the Death, by Fire, of a Child in London" for the cold, obdurate turning inside-out of emotional trauma in the face of a tragedy of innocents. Yarnell Hill will become another “race that couldn’t be won.” But the analogy stumbles. The smokejumpers at Mann Gulch had no choice: they were trapped in a closed basin, almost a chute, and would perish unless they could outrace or outsmart the flames. The hotshots at Yarnell Hill were safely on a ridge, in the black, and chose to race with the fire by plunging downhill into a box canyon thick with brush. Theirs was an act of volition denied the jumpers at Mann Gulch. At Mann Gulch the fatal numbers were coded into the scene at its origin. At Yarnell Hill the Granite Mountain Hotshots did the calculations and added the sums incorrectly. The numbers tempt: they are hard facts, recorded in the landscape, not unknowables embedded in the nebulous “sensemaking” of mind and heart. So one narrative will turn to explanations for the fire’s “extreme” behavior. The story will look to long-unburnt fuels and especially to extended seasons, record temperatures, and climate change. 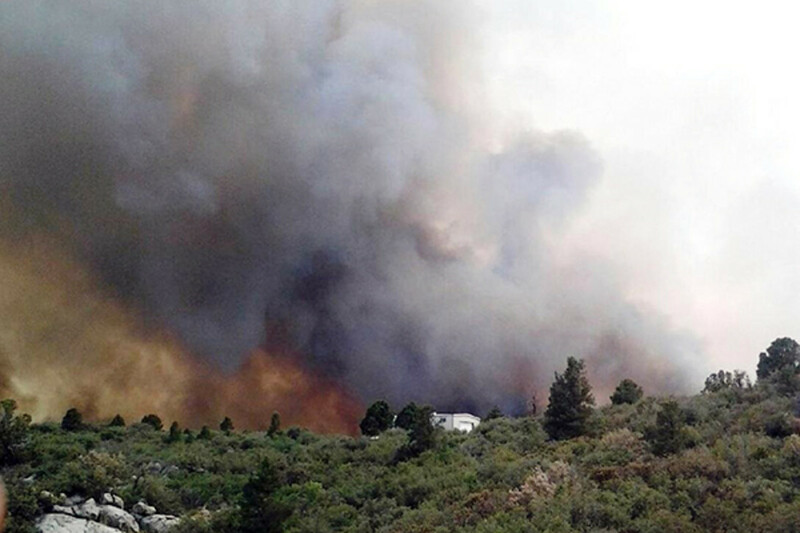 The explosive Yarnell Hill fire will become another signature of the new normal. The loss of an elite crew will be tallied as part of the cost of ignoring global warming. It was hot, dry, and windy, but it’s always like that in the early summer lead-in to the monsoon. Central Arizona has known higher temperatures, stronger winds, and deeper droughts. When thunderheads collapse, particularly in the season’s first storms, those blasting downdrafts stir up dust storms if they overlie desert and firestorms if atop flame. A similar outburst drove the 1990 Dude Creek fire (eastward at Payson, a sister city to Prescott) through a crew and killed six. The flames at Yarnell Hill leaped and spotted through grass and brush—combustibles ideally suited to react quickly to wind. 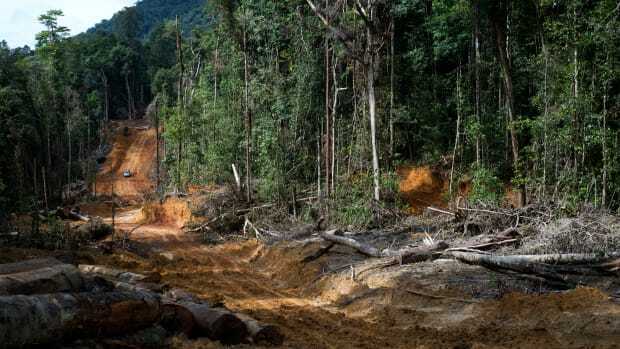 Conditions on June 30 were not beyond the environmental or evolutionary scale. We don’t need climate change to account for the fire’s behavior. Already, the community is turning to that other great narrative template invoked to describe the contemporary scene, the geeky-named wildland/urban interface. The Granite Mountain Hotshots were putatively on the scene to defend Yarnell, an exurban enclave that may have been indefensible and in any event was mostly evacuated. It’s unfair to demand that fire crews risk their lives for property. That burden belongs to the community. If they build houses where fires are, they have to live with fire. But Yarnell frustrates this generic model. The town sprang up during an 1860s gold rush. It was platted 50 years before Arizona became a state. It survived by being repopulated, most recently by retirees. Whatever the firescape at the time of founding, it was undoubtedly scalped by the miners, who burned off the cover to expose outcrops, cleared any trees and shrubs for firewood, and brought in meat cattle that stripped away the grass. The existing scene is the jumble of recovered pieces. 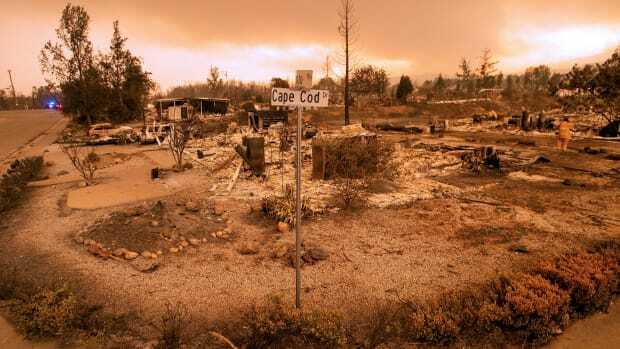 The town was not plucked down amid combustibles; the firescape grew up around the town. In fact, by the early 1950s the state of Arizona was actively promoting Yarnell as a retirement community, which is what it became. The dispersed outliers were mostly indefensible, so there would have been little justification in trying to shield them, particularly with fire bearing down imminently. The Granite Mountain IHC was outfitted with hand tools for cutting fireline, not with hoses, pumps, and shielding for defending structures. Before they left the ridge, they were working a free-burning fire; they were assigned to establish an anchor, not protect structures. This was not an Esperanza fire in which flames washed over an engine crew positioned to defend a house. The Granite Mountain IHC did not perish, arms locked, standing between the flames and homes. They died in a box canyon into which they had voluntarily hiked. The other template—everything has to come in threes—is that legacy agencies are unable to overcome their culture of suppression. They fight fires where and when they shouldn’t because they know no other way to respond; the endless roster of shelter deployments, near-misses, and fatality fires is the inevitable outcome. Even the shock of the South Canyon deaths, the prospects for civil and criminal penalties, and the emphatic edicts from above have failed to dislodge that culture. It invites risk-taking that leads remorselessly to Thirtymile Canyon, Cramer, and Yarnell Hill. The rules keep being broken—must be broken to satisfy the nature of the beast. Implicit, too, is a tint of gender bias; the Granite Mountain crewmen were all young men engaged in what could seem an extreme sport. Yet again this particular fire turns such understandings into shades of gray. Granite Mountain IHC was not a Forest Service or BLM crew: it was proudly, defiantly, the only non-federal IHC on the national register. Undoubtedly it absorbed elements of traditional mores and camaraderie, but perhaps without the institutional checks that have been cultivated over the generations since 1994. It belonged to a city fire department: it absorbed at least as much culture from urban fire-service expectations as from wildland agencies. 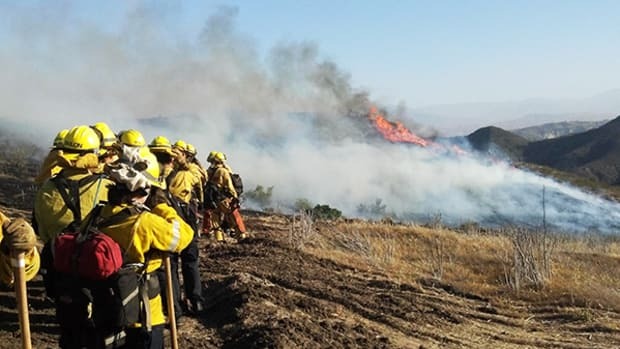 It was fighting a wildfire on Arizona state lands, under the auspices of the Arizona Department of Forestry, the youngest state forestry bureau in the U.S., established the last year fires burned in Peeples Valley. There were other crews on Yarnell Hill, including hotshots. None of them put themselves into the path of the fire. The majesty and burning of the child&apos;s death. If the traditional templates don’t apply, what might? If this is a literary fire, they will come from literature, and in truth possible models seem to leap from the scene. There are those that help arrange the particulars into a story, and those that invest that narrative with the kind of meaning that speaks to the extraordinary reach of interest that this fire has sparked. They move the tale from physics to metaphysics. On the afternoon of June 30th Marsh was a division superintendent, but he left the line to rejoin his crew and then personally lead it away from a blackened ridge and back into the action. He showed an élan and initiative that in many circumstances of life we would applaud but what here looks like an obsession. They were safe. He took them to the flames. His drive became a fatal flaw and carried the others with him. The crew, even the Starbucks among them, follow, all caught up in the chase. So at last that great white whale of a fire turned on them, and left one survivor, a solitary witness to proclaim, after the Book of Job, "and I only am escaped alone to tell thee." Why this crew? At this time? In this way? 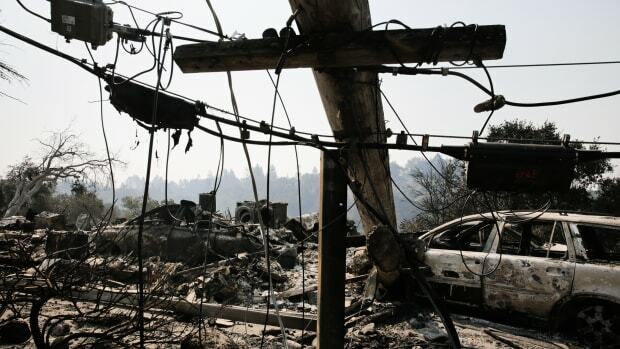 Why, as residents of Yarnell asked, were some houses spared and others burned? Was there a hidden order, which is to say, a deeper providence in the tragedy, or was it just an arbitrary collision of actions with no more design than the scatter of summer cumulus? The Granite Mountain IHC had for its original logo a pair of flaming dice that always came up seven. This time the dice rolled snake eyes. What the Bridge of San Luis Rey model also suggests is that the way to narrate the meaning is not directly under the gaze of an omniscient narrator arraying events within GIS grids and plotted along timelines, but through the quest for their significance. Norman Maclean made that pursuit personal: Young Men and Fire became the story for his own search for the story. Thorton Wilder refracted that inquiry through Brother Juniper, whose pursuit of and meditation on the gathered facts leads ultimately to an auto de fe, the burning of self and book at the stake. Beyond metaphysics and theology lies the tangible grief of the survivors. They want significance ascribed to the sacrifice. They want their loved ones honored and valorized. This, too, is an old provenance of literature, and it offers a full gamut of consolations, from doggerel and sermons to narrated emotion fused with artful intellect. For this task ponder James Agee&apos;s Let Us Now Praise Famous Men to appreciate how to valorize ordinary lives without sentimentalizing their fate. And at its most challenging, read Dylan Thomas&apos; inextinguishable "A Refusal to Mourn the Death, by Fire, of a Child in London" for the cold, obdurate turning inside-out of emotional trauma in the face of a tragedy of innocents. For all its splendor and pathos, American fire has no novel to match its stature in the American scene. It has some powerful non-fiction, most notably Maclean&apos;s Young Men and Fire, which has many imitators but stands alone, itself a survivor and posthumously published witness. But the fusion of fire and art remains unmet. In Yarnell Hill, however, the American fire community has the themes and latent structures for a great work of literature. Why are we still building homes in areas we know the fires will return to? 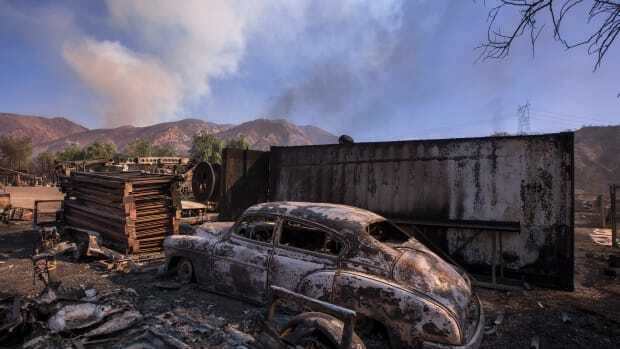 Pacific Standard contributing editor Marc Herman, who grew up just outside of Camarillo, where a wildfire is currently raging out of control, reflects on lessons not learned. In response to the devastation caused by the Tubbs Fire, California needs to rethink its approach in dealing with future urban conflagrations.